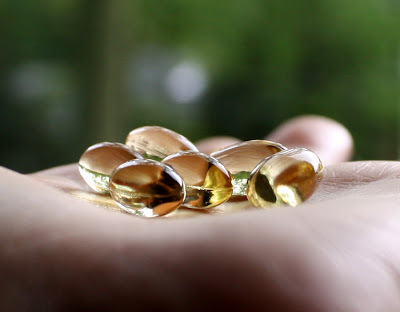 Active vitamin D, the molecule that acts as a steroid hormone in our bodies, is not the same as the vitamin D we eat in food, the vitamin D that we take in a pill, or the vitamin D that is manufactured in our skin. All of those less active forms of vitamin D are precursors. They're stored more easily in the body, and for longer, than active vitamin D.
The body expends energy to make the most active form of vitamin D. A specific enzyme controls its manufacture.3, 4 The activity of that enzyme, 1-hydroxylase, is influenced by a variety of factors. High concentrations of calcitriol - A negative feedback mechanism is in play, meaning, the more active vitamin D you have circulating, the less active the enzyme. Decreasing levels of parathyroid hormone (PTH) - PTH stimulates 1-hydroxylase. High calcium intake/high blood calcium - High calcium levels cause PTH to decline. Increasing levels of parathyroid hormone (PTH). Low calcium intake/low blood calcium. Low phosphorus intake/low blood phosphorus. Serum concentrations of active vitamin D (calcitriol) are not typically correlated with vitamin D intake, or vitamin D stored as 25(OH)D3. So, taking more vitamin D will not necessarily lead to increased activity of the vitamin. Another controlling factor: As levels of calcitriol rise, the body makes relatively more of a form of D3 that is thought to be involved in the breakdown of calcitriol, or at least results in lower calcitriol levels.5 This is another type of negative feedback loop. It may indicate an Upper Intake Level (UL) for vitamin D since, in contrast to calcitriol, the production of 24,25(OH)2D3 is correlated with vitamin D intake. Of course, you need working receptors for that active vitamin D. The manufacture of those receptors, the cells where they're located, and their affinity for circulating calcitriol, are additional variables in the effective function of this hormone. I'll discuss later. "Higher consumption of calcium was related to advanced prostate cancer (RR: 2.97) and metastatic prostate cancer (RR: 4.57)." That's a three-fold increased risk for advanced cancer, and a 4.6 times increased risk for metastatic cancer. "Our findings provide indirect evidence for a protective influence of high 1,25(OH)2D levels on prostate cancer and support increased fruit consumption and avoidance of high calcium intake to reduce the risk of advanced prostate cancer." Dairy foods are good sources of both calcium and phosphorus, two minerals that have been shown to decrease levels of active vitamin D in the body. There are lots of other studies, especially cancer-related ones (colon, breast) which interest me, but I'm out of time. ________1 On carbons 1 and 25, thus called 1,25-dihydroxycholecalciferol or 1,25(OH)2D3. 2 Stored vitamin D is usually measured as hydroxylated cholecalciferol, that is, 25(OH)D3. 3 25(OH)D3-1-hydroxylase, or just 1-hydroxylase. This enzyme places an OH group onto carbon 1. 4 Since this enzyme is most active in the kidney, actually in the mitochondria of the kidney, people who are on dialysis or who have limited kidney function (many diabetics) may have the hormone calcitriol injected directly. Hmm. This seems to bring up the supplement debate again. Not only do they really help, but could they be hurting us? So its beans then fruit for dessert. I like the new quote for your header. I wrote this with the non-supplementers in mind, the people for whom taking pills isn't an option. There's benefit to cutting back on soda (phosphorus) and turning a deaf ear to the National Dairy Council's advice to consume cows' milk (calcium and phosphorus) with every meal. "Dairy products are the major source of calcium, their overall effect is to suppress 1,25(OH)2D[active vitamin D] levels." I know there is great debate on dairy in general. Should we consume it all? Should it only be consumed in its raw state? etc. I guess you can add this issue to the list. Is there a mitigating factor that makes supplementation not an option? I know there's great debate over taking supplements, but what sort of thing makes pill-taking not an option? Just curious. Very informative, thanks. The first thing most people ask when I say dairy may not be that great a food to consume is "where will I get my calcium?" The dairy council (and our government) has done a good job of instilling in our minds the importance of including dairy for a healthy diet. In the 2008 study though I believe it said that while cancer was associated with dairy consumption it was not correlated with calcium from different sources. To me (if I am understanding it properly) it is not the calcium per say but other factors in dairy. Milk is a secreted fluid full of hormones and growth factors to grow a baby cow. It does not make sense to me that it should be consumed by human adults on a daily basis. Keep us posted. Laura: "Increasing calcium from foods and supplements independently increased the risk of prostate cancer (Table 3)." I think this calcium mechanism is plausible, but I see what you're saying. I don't think dairy food is bad, but I don't know why it continues to hold such a prominent place in our diets, given what we're learning about it. shaun, that quote: He went on to say that the more invisible and insidious changes were happening to our culture, to the way we lived. Less time cooking, less time eating together (or eating at all, re: your recent graph), a consolidation of farms, thus a loss of rural communities. Strong social changes. He's the first person I've read who really tied all these together.